Sabrina is a top choice in the San Diego wedding industry as well as for corporate event planners, family functions and celebrations. Professional, elegant and talented, she will bring the same world class quality of presentation to your event, whether you have booked the largest event venue in San Diego or are hosting a private family function in your back yard. 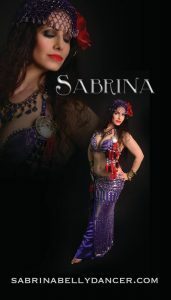 Sabrina of San Diego is a champion bellydancer with seven international titles to her credit. 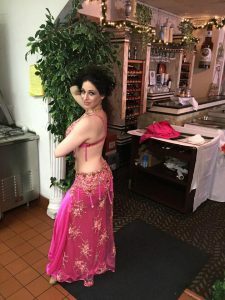 She is one of the only bellydancers in the world to have both performed and taught professionally in Egypt, the world’s capital of belly dance. 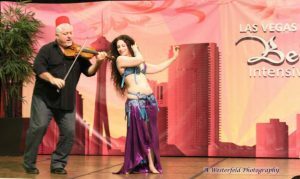 Sabrina is the first Westerner invited to teach Iraqi Kawleeya dance in the Middle East and has been honored with teaching positions at the prestigious Nile Group Festival in Cairo, Egypt, as well as countless international belly dance festivals. She is currently based in San Diego, California. 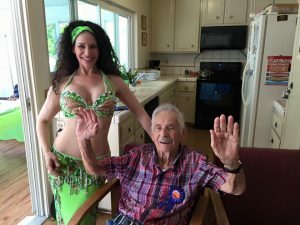 One of the things Sabrina loves most about her job is helping people celebrate the joyful milestones of life. 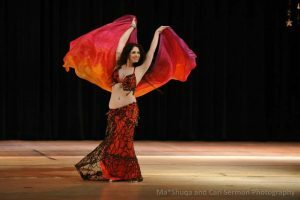 As a classically trained, professional dance artist, she will customize your bellydance show with you in mind. She will work with you directly, to plan the very best dance show for your unique event. Sabrina loves to travel for work. An honored judge at international bellydance competitions, she tours the world teaching workshops and performing in gala shows. 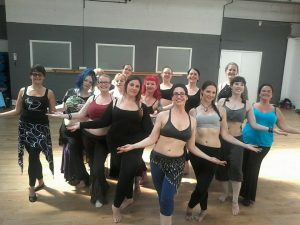 Her world travels have led her to amazing adventures performing and teaching bellydance in Hong Kong, Vietnam, The UK, Europe, Mexico, North Africa, The Middle East and all over the USA. Her travels have opened the door to a fabulous position as the USA representative for Hallah Moustafa Costumes, providing ready to wear and custom order couture bellydance costumes straight from the Cairo atelier. If you will be visiting San Diego, feel free to make an appointment to view these one of a kind bellydance costume creations.